Hi everyone. Glad to see you here! 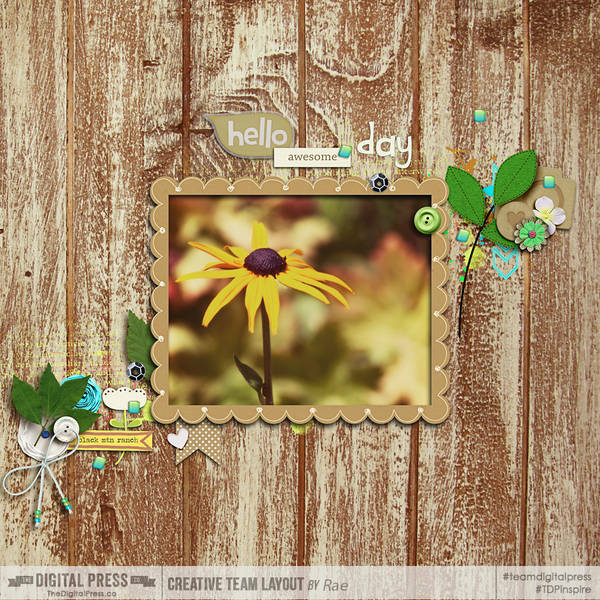 NSD is such a fun time, you can shop, play along with the challenges and chat with everyone. I'm hosting a color challenge and am really looking forward to seeing what you all create for it! Right now, it's spring in my neck of the woods and I like nothing better than to grab my camera and head out for a photo walk. If I head down to the park, I'll see a lot of green, blue and brown, which was my inspiration for the colors. So, there you have it.....create a page, using predominantly those colors. You may include other colors but try to keep those to a minimum. 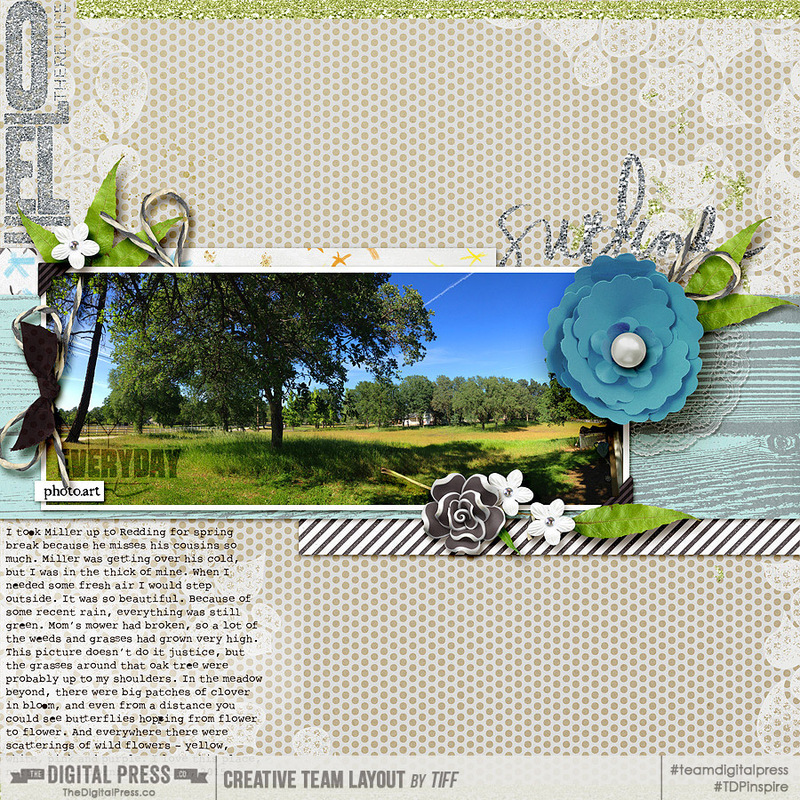 I want the challenge colors to stand out, take center stage on your layout. Post your page in the gallery and then post it here in the color challenge thread (linking it up to the gallery so we can all go leave some praise for your page). 1. 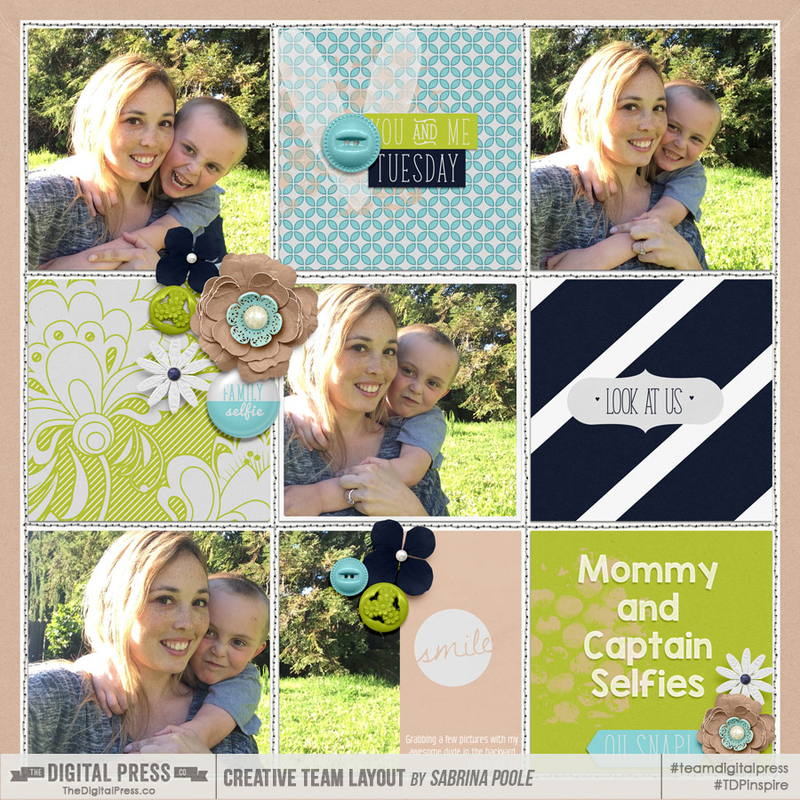 Create your layout using 100% of TDP products. 2. Post your page in the gallery and the color challenge thread, linking it back to the gallery. 3. There will be a random draw for one winner who will win a $5 gift certificate to KimB Designs' shop. 4. Post by May, 8th 2015 11:59 pm EST to be eligible to win. I can't wait to see your pages. Here are a couple I've done using that color palette. Don't forget, whatever kits you use, if you can't find the color or tone you want, there are a variety of ways to recolor in photoshop. My faves are a replace color adjustment layer or a hue/sat layer adjustment. Have fun and I'll be watching to see what you create! Here's a few more kits you might want to check out. Last edited by bcgal00; 04-29-2015, 02:18 PM. Here is one from me. 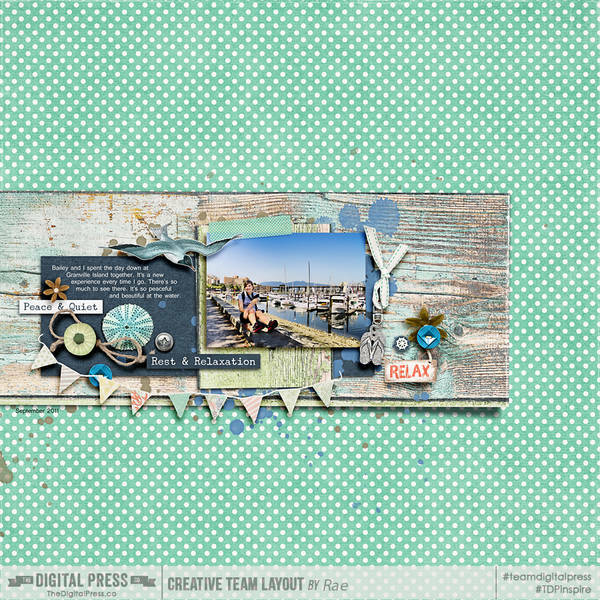 I found shades of blue, brown and green in the iArt kits from Karla Dudley and Sabrina's Creations. so beautiful! I LOVE that your photograph is just perfect for this one! ooooh WOW! Fantastic photo too! LOVE! love these layouts and color combo! Such a gorgeous color scheme and here is what I did with it! I hope it counts!! I always love to see your candid shots! Great page! ahhhhh soooo cute!! Loving the 'captain' selfies. PERFECT! Awesome clustering! The background paper is perfect for this! Holey cow! 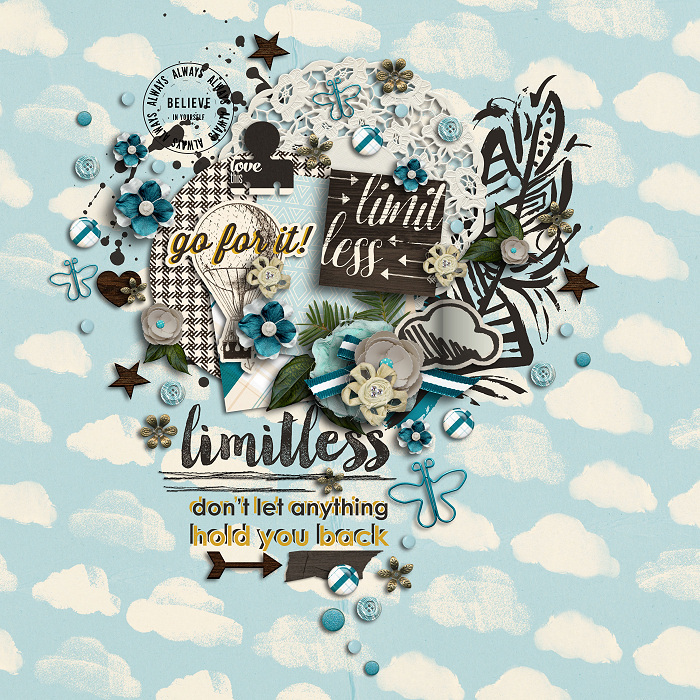 LOVE the clusters and scatters..amazing page! So pretty! and here I am pulling on warmer clothes as it's getting rather chilly..lol. 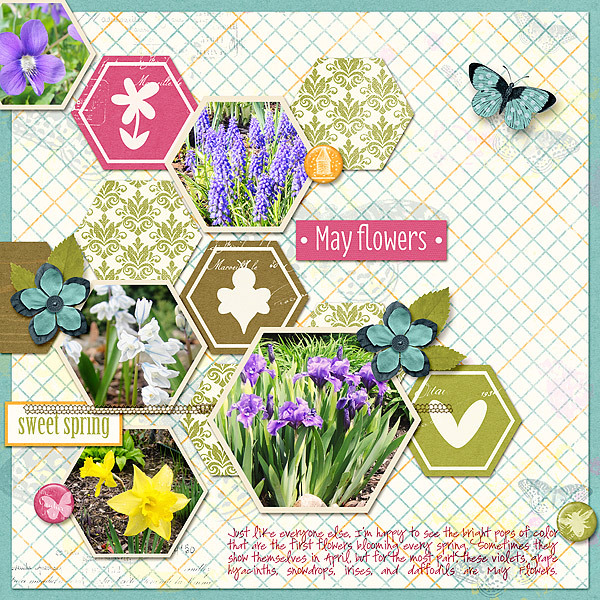 Love the photos and all the hexagons! 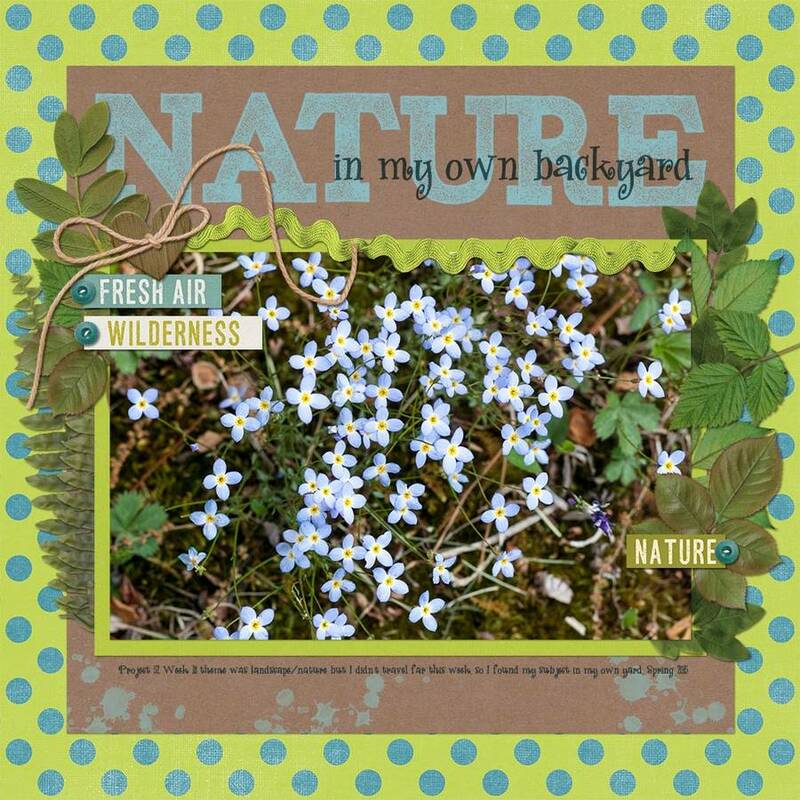 Love the blue flowers and nicely framed too! Thx everyone for playing along. It was fun, wasn't it?